RMS,Circleoffice & SBCO cadre restructuring has been processed on the line of Postal Group-C . Now file is with JS&FA for further approval. MMS Cadre restructuring file is with JS &FA for approval. 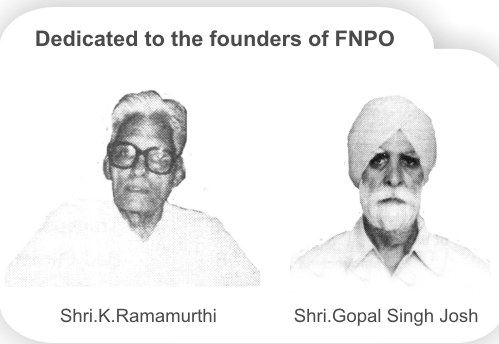 FNPO Thank our Secretary Posts for his sincere efforts and keeping his promise. 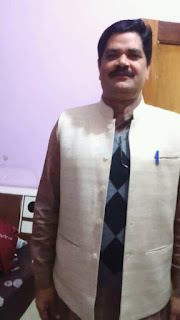 It has been noticed that there is no improvement in Minimum Wage and Multiplying Factor as well, which was our hard pressed demand. Instead, wages, as recommended by the VII CPC have been accepted as it is, which is highly disappointing. Only two committees have been formed, one to take care of the allowances and another for National Pension Scheme, which will submit their reports within four months time. You are also advised -to intensify the mass mobilization. 3. The minimum pay has been increased from Rs. 7000 to 18000 p.m. Starting salary of a newly recruited employee at lowest level will now beRs. 18000 whereas for a freshly recruited Class I officer, it will be Rs. 56100. 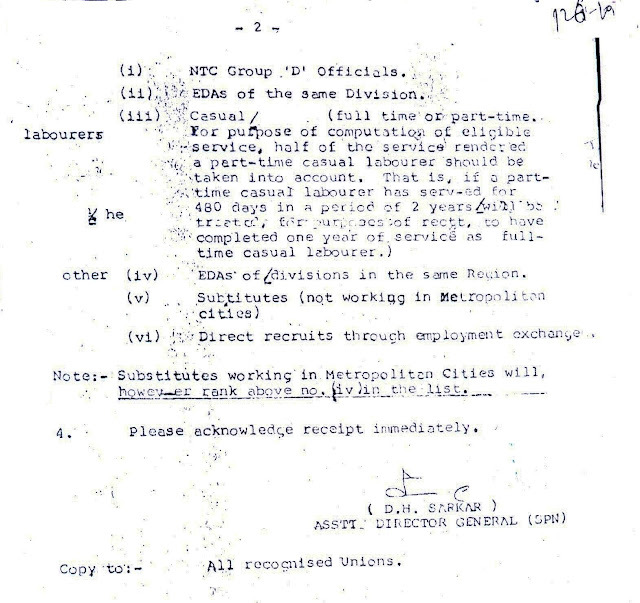 This reflects a compression ratio of 1:3.12 signifying that pay of a Class I officer on direct recruitment will be three times the pay of an entrant at lowest level. The recommendations will result in a hike in salaries of over one crore government employees and pensioners. The pay panel had in November last year recommended 14.27 per cent hike in basic pay at junior levels. The entry level pay has been recommended to be raised to Rs 18,000 per month from current Rs 7,000 while the maximum pay, drawn by the Cabinet Secretary, has been fixed at Rs 2.5 lakh per month from current Rs 90,000. The Pay commission recommended Minimum pay Rs.18,000 with increase of 14.29%. The same is approved without any change. 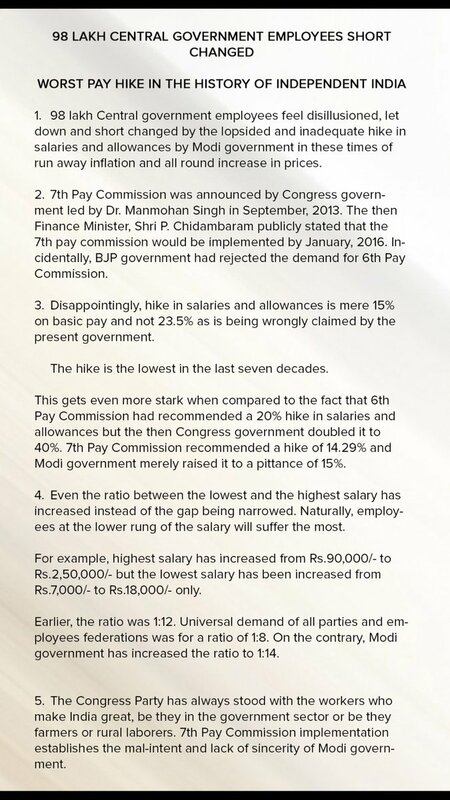 Detail of the pay commission will be announced later in a press conference. The upcoming launch of India Post Payments Bank-views of our Fedration. ﻿click the above link to read more. Click the above link to read more. NJCA Rally rightly warned Govt of Consequences if 7th CPC delayed further. 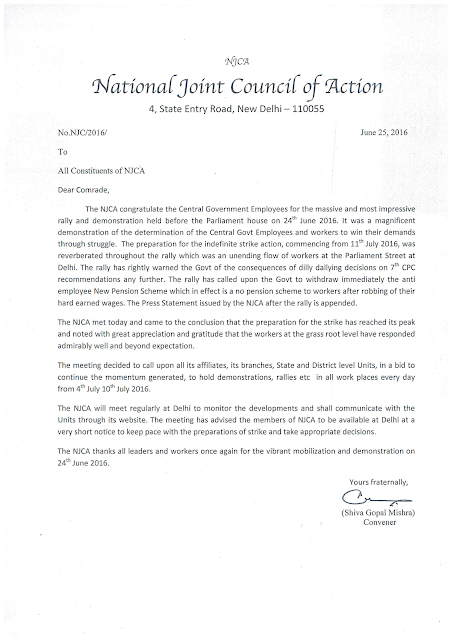 The NJCA congratulate the Central Government Employees for the massive and most impressive rally and demonstration held before the Parliament house on 24th June 2016. It was a magnificent demonstration of the determination of the Central Govt Employees and workers to win their demands through struggle. The preparation for the indefinite strike action, commencing from 11 th July 2016, was reverberated throughout the rally which was an unending flow of workers at the parliament Street at Delhi. The rally has rightly warned the Govt of the consequences of dilly dallying decisions on 7th CPC recommendations any further. The rally has called upon the Govt to withdraw immediately the anti employee New Pension Scheme which in effect is a no pension scheme to workers after robbing of their hard earned wages. The Press Statement issued by the MCA after the rally is appended. The NJCA met today and came to the conclusion that the preparation for the strike has reached its peak and noted with great appreciation and gratitude that the workers at the grass root level have responded admirably well and beyond expectation. The meeting decided to call upon all its affiliates, its branches, State and District Level Units, in a bid to continue the momentum generated, to hold demonstrations, rallies etc in a I work places every day from July 10th July 2016. The NJCA will meet regularly at Delhi to monitor the developments and shall communicate with the Units through its website. 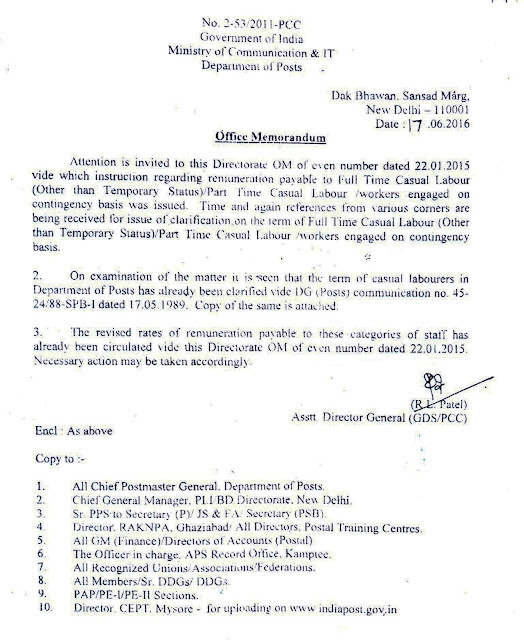 The meeting has advised the members of NJCA to be available at Delhi at a very short notice to keep pace with the preparations of strike and take appropriate decisions. The NJCA thanks all leaders and workers once again for the vibrant mobilization and demonstration on 24th June 2016. Sub:- Recovery of wrongful/excess payments made to Government servants. The issue of recovery of wrongful/excess payments made to Government servants has been circulated by DOP&T vide their 0.M.No.18/26/2011-Estt (Pay-I) dated 6th February, 2014 wherein certain conditions were stipulated to deal with the issue. Further, DOP&T vide their 0.M No 18/03/2015-Estt , (Pay-I)dated 2nd March, 2016, in consultation with Ministry of Finance (Department of Expenditure) and the Department of Legal Affairs has enumerated certain situations wherein recovery by the employee would be impermissible in law. A copy each of these instructions is sent herewith for information/guidance. These will apply mutatis-mutandis to Railway employees also. 2. 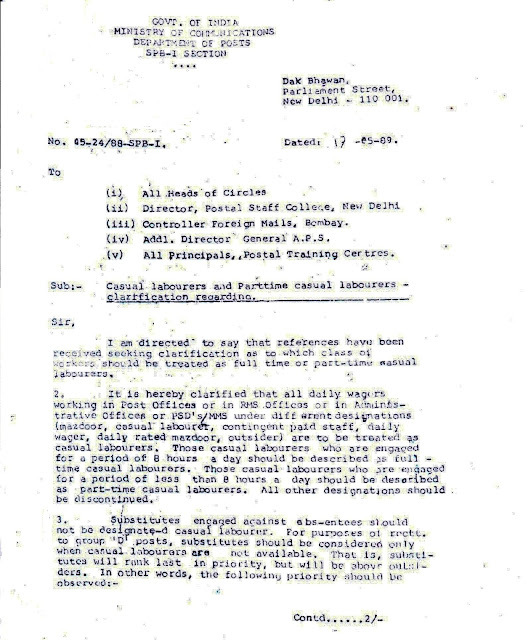 The date of applicability of these orders would be the date of issue of DOP&T’s letters.